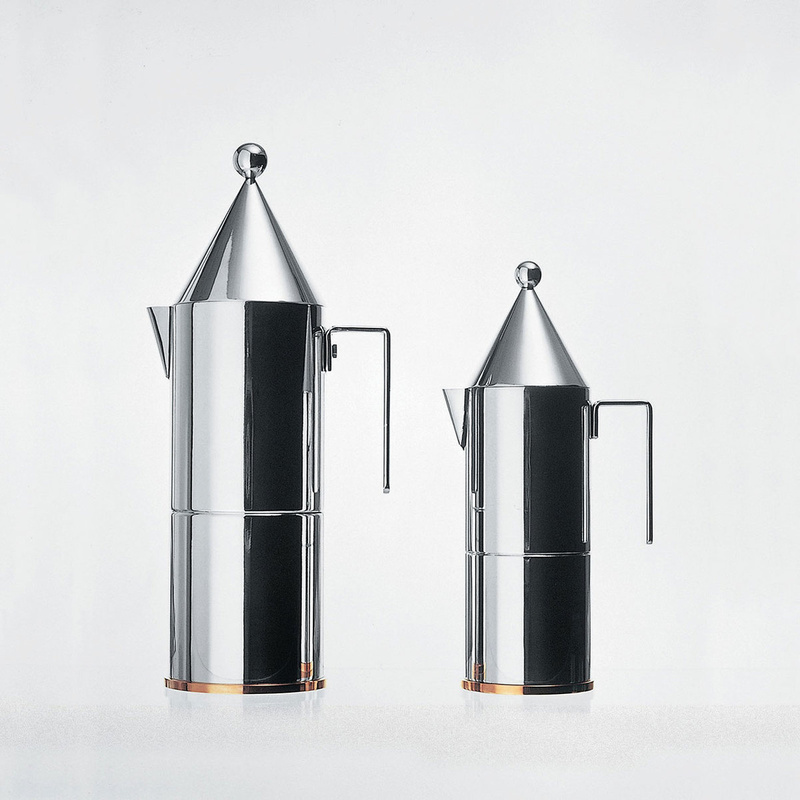 Designed between 1980 and 1983, the La Conica coffee maker began life as an evolution of the 'Tea&Coffee Piazza' project, which saw famous architects taking up the challenge of designing a tea and coffee service. 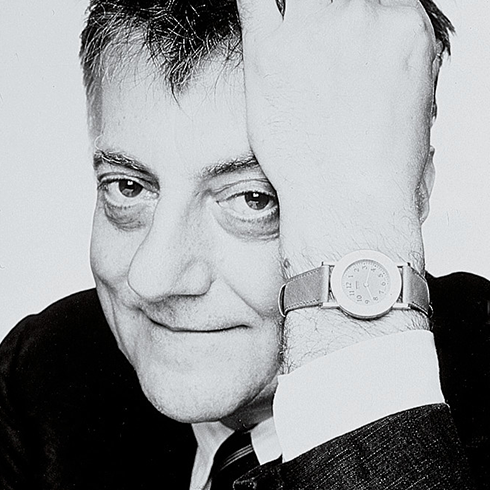 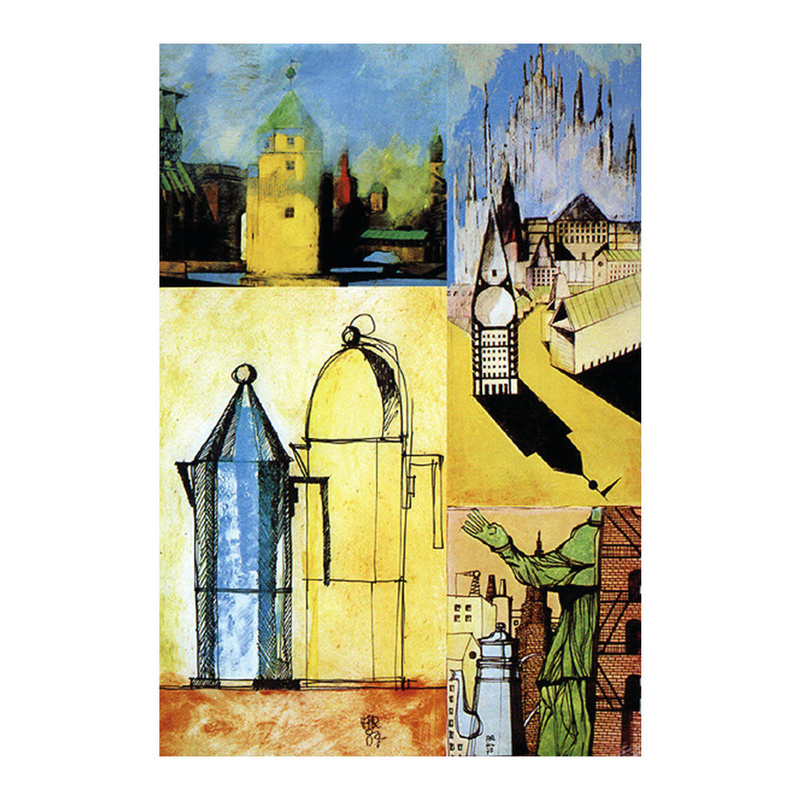 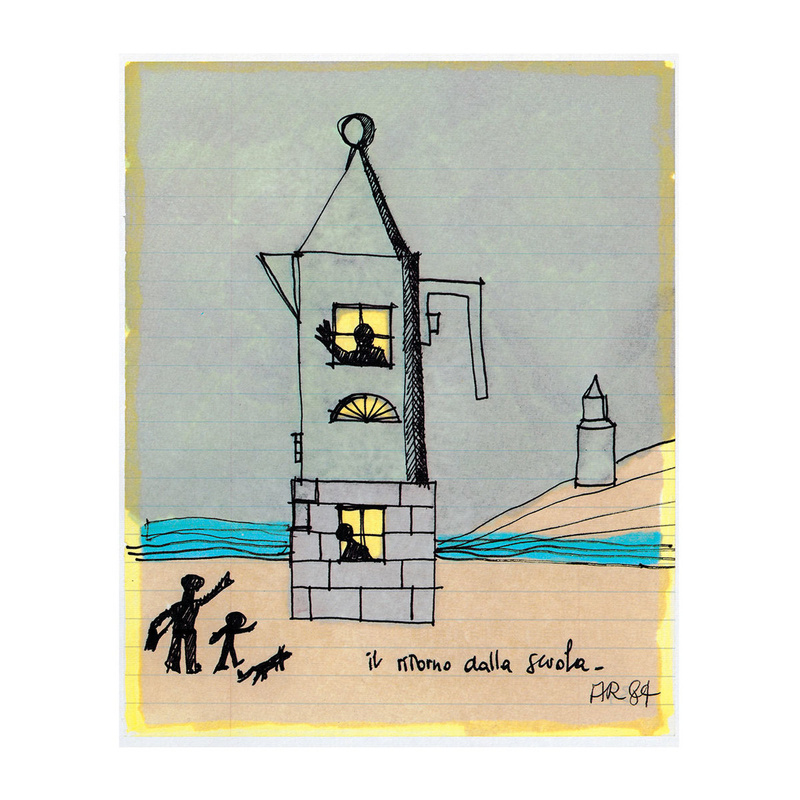 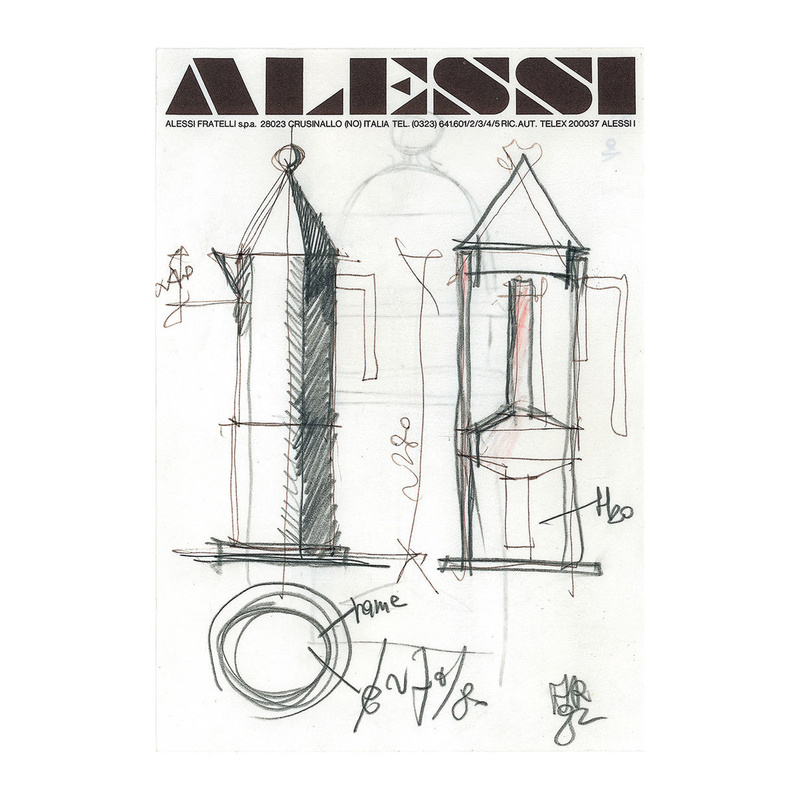 It was designer Aldo Rossi's first mass-produced design, and its strongly iconic image earned it immediate success for the then-new Officina Alessi brand, as well as becoming an 1980s design symbol. 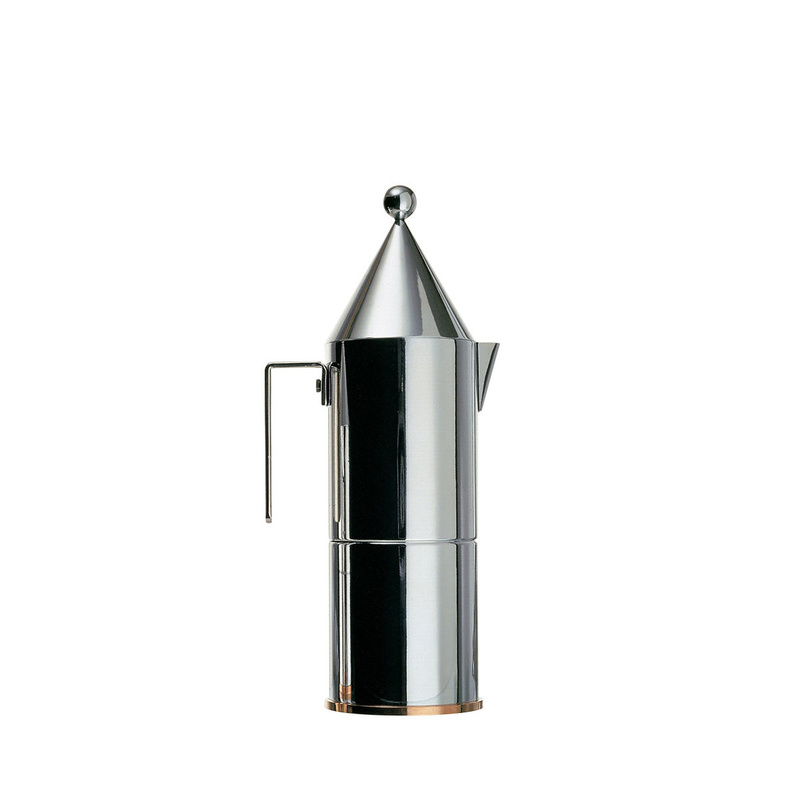 This 18/10 stainless steel espresso coffee maker has a copper bottom. 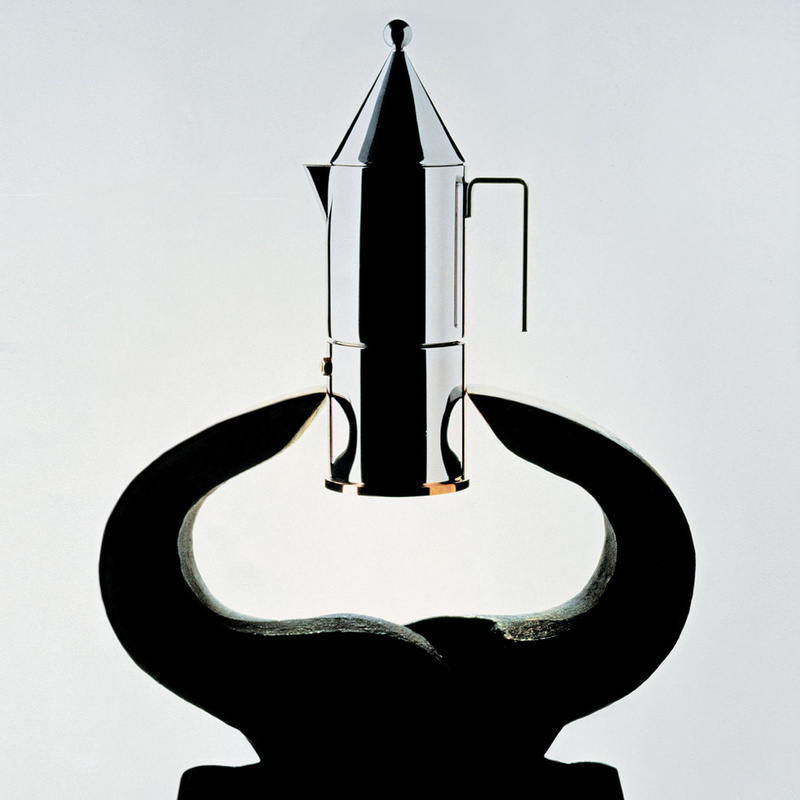 It makes coffee for 3 cups.